Does a Limb Amputation Qualify for SSD Benefits? Suffering from a limb amputation is not an uncommon event. Limb amputations result from a multitude of causes related to trauma, medical illness, or surgery. In some, limb amputation is used as a preventative surgery such as controlling pain or preventing disease progress. The most common cause of limb amputation results from poor circulation in the affected limb. This is called peripheral arterial disease. Peripheral artery disease is where there is a lack of oxygen in the bloodstream, thereby affecting adequate blood flow. As a result of inadequate blood flow, tissue begins to die in the limb which then causes an infection in the limb. Some of the most common signs and symptoms of infection in a limb include intense pain, sores, or wounds which heal very slowly, gangrene, skin changes, lack of a pulse, and infection which does not respond to antibiotics. If you have some of these signs or symptoms, your doctor will then determine the necessity of an amputation. If limb removal is determined to be the safest course of action, surgery will be scheduled. After surgery, it takes approximately two months to heal. Depending upon which limb is removed, you may receive a prosthetic or artificial limb. This would require several visits with a prosthetic doctor, along with multiple physical therapy visits so as to learn how to use the artificial limb. A prosthetist is an expert who fits, builds, and adjusts artificial limbs. In addition to physical therapy, an amputee likely will struggle with the procedure emotionally and may require mental health therapy. So, while the individual may require two months after surgery for physical rehabilitation, the mental health recovery side may take much longer. The area where the amputation occurred is called a stump. Proper care must be applied to the stump to help keep pain to a minimum. Artificial limbs should be removed at the end of the day. This allows the stump area time to breath. Sometimes people experience problems such as dry skin, excessive sweating, inflamed or irritated skin, or broken skin. Removing the prosthetic at night will help those issues. After an amputation, many people experience significant pain that seems to be located in the amputated limb. This is often called phantom pain. This pain is most often more severe initially after the surgery and then decreases over time. Some may not experience pain at all, only phantom limb sensations where the amputation occurred. Whether you are experiencing phantom limb pain or phantom limb sensation, both are real, and both can be quite debilitating. 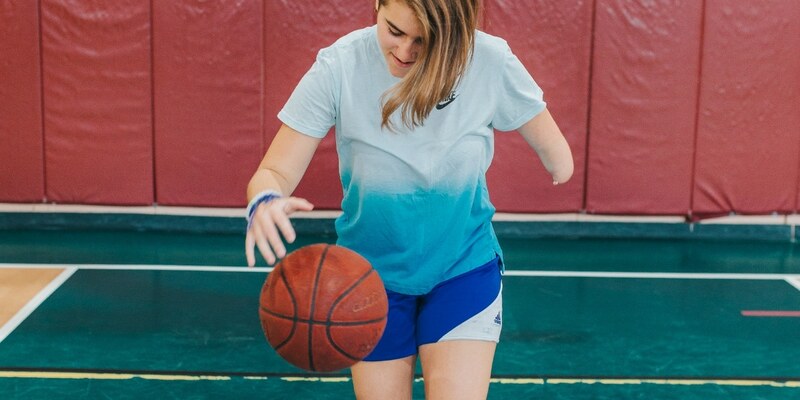 Undergoing a limb amputation is a life changing event. In addition to having a major impact upon yourself and your family, it may create a barrier to you performing the work you have done in the past. For example, if you are a carpenter who has had a leg amputated, you may no longer be able to climb ladders. Or, if you are a data entry clerk with a left finger amputated, you likely will not be able to use a computer the same way as before. Whatever your profession, if an amputation is preventing you from returning to work, you should consider filing for social security disability benefits. Social security disability (SSD) is a federally run, mandatory program. This program is a type of insurance that is available for people who are unable to work. It is a type of safety net providing you income in the event of an inability to earn an income. 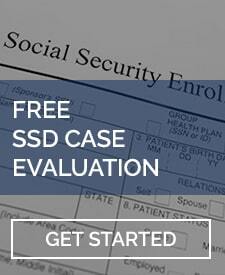 To qualify for SSD benefits, you must meet the social security administration’s definition of disability. Disability is defined as an inability to perform substantial gainful activity due to a severe physical or mental condition that is lasting for twelve months or is expected to result in death. In the case of an amputation, you must show the amputation has prevented you from working for a twelve-month time frame or is expected to keep you out of work for at least twelve months. The social security administration (SSA) follows a five-step process in determining if an individual will qualify for SSD benefits. The first step is whether you are engaging in substantial gainful activity (SGA). Meaning, are you still working? If you are, and you are earning more than approximately $1,100 a month in gross income, you are technically ineligible for the program. The second step considers whether you are suffering from a severe condition. This threshold is quite low, requiring more than a minimal impact. Any type of amputation will more than likely meet this minimal requirement. 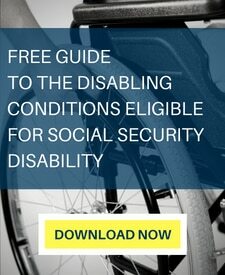 The third step considers whether you meet one of the SSA’s listed conditions deemed to automatically qualify for disability. A limb amputation is considered under listing 1.05. If you do not qualify for this listing, the next consideration is whether or not you are able to return to your past relevant work. Past relevant work includes any job you performed within the last 15 years at which you worked at long enough to earn over SGA at the position. If you worked as a cashier for three days and earned a total of $300, this job will not be considered part of your past relevant work. However, if you worked as a stock clerk for two months and earned a total of $3,000, this job will be considered part of your work history, even though it may not have been significant. At this step in the SSD determination process, you must show you are unable to perform all jobs you have performed in the past 15 years. If you do that, then the last step is to prove you are unable to perform any other type of work in the national economy. This last step is the most difficult of the process, as it includes all jobs, whether you have performed them in the past or not. Suffering from a limb amputation, no matter the location, is a very severe and traumatic event. If you have suffered the loss of a limb, you more than likely should consider applying for SSD benefits. Even if the receipt of the benefits is only for a 12-month time frame. SSD benefits are there to provide a safety net for people to get back to work.